This energetic gum is an ideal complement for the realization of extreme sports. WUG Energy+ is made from natural plants, does not require water, or digestion, and you can take it anywhere since it only weighs 2 grams. 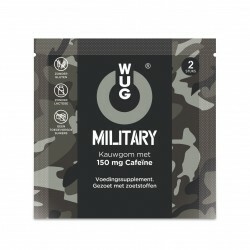 WUG Energy + gum, with Caffeine, Guarana & Ginseng.15 Units pack. WUG Military is an ideal complement or extreme sports. It's ultra-energy gum! 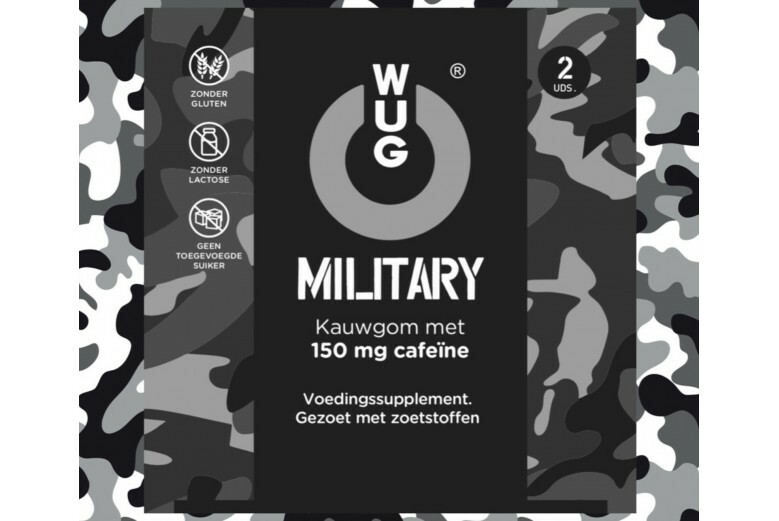 Contains 150 mg Caffeine. WUG Energy + 3 Units. Is an ideal complement that helps resist external aggressions, favouring cell renewal. It is composed of Beta carotene, lycopene and Vitamins C, E and D3 which contribute to the protection of cells against oxidative damage. This relaxing chewing gum is composed of Valerian, Tryptophan, Melissa and Melatonin, sweetened with steviol glycosides and has a pleasant mint flavor.WUG Relax is made from natural plants, does not need water or digestion, it can be taken anywhere and only weighs 2 grams. The pack is 15 units. WUG Energy Ultra 6 Units. This energetic gum is an ideal complement for the realization of extreme sports. It is composed of Caffeine, Ginseng and Guarana, sweetened with steviol glycosides and has a pleasant mint flavor. WUG Energy + is made from natural plants, does not need water or digestion, can be carried anywhere and weighs only 2 grams. The pack is 6 units. This relaxing chewing gum is composed of Valerian, Tryptophan, Melissa and Melatonin, sweetened with steviol glycosides and has a pleasant mint flavor. WUG Keep Calm is made from natural plants, does not need water or digestion, it can be taken anywhere and only weighs 2 grams. The pack is 6 units. Cinetosis occurs in different modes of transport and is caused by excessive stimulation of the inner ear structures that regulate balance. WUG Travel is made with Ginger Extract, Vitamins C and B6 that helps to alleviate its effects. WUG After Drink 6 units. 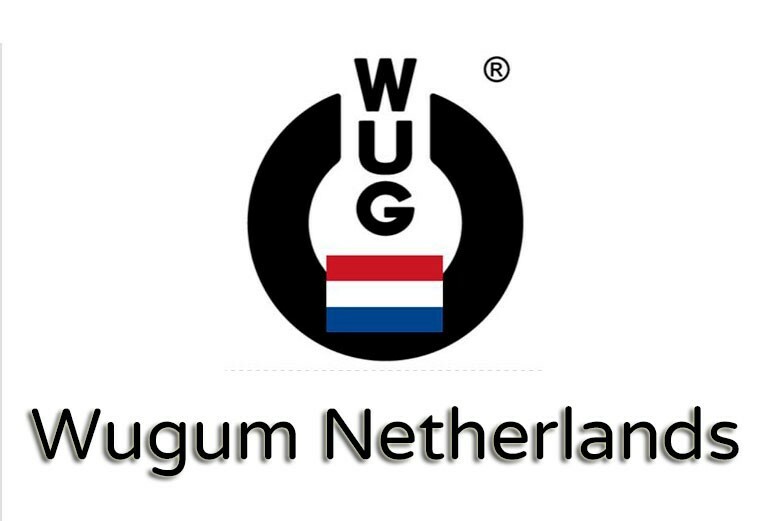 In WUG Functional Gums we have functional gum for everything, and for everyone!